13.10.2010 October 9.-10. 2010, Indiabi Helio II of Greenville did very well at the CFA show in Barcelona, Spain - 7 finals (BEST, BEST, 2, 2, 3, 5, 9), 2nd best cat of the show. 28.09.2010 September 25. 2010, one-day CFA show in Moscow, Russia. GC Indiabi Helio II of Greenville made 5 out of 6 finals (BEST, 2, 2, 5, 6), the best cat of the show. Greenville Orlando made his debut in adults and got 3 WR. 21.09.2010 September 18. & 19. 2010, CFA show in Cologne, Germany. GC Indiabi Helio II of Greenville made 5 out of 6 finals (2, 3, 4, 7, 9). 14.09.2010 September 11. & 12. 2010, CFA show in Brugge, Belgium. GC Indiabi Helio II of Greenville made 6 out of 6 finals (BEST, 3, 3, 4, 6, 6). Greenville Orlando made 1 final (6th) in kittens. 30.08.2010 August 28. & 29. 2010, TICA show in Vantaa, Finland. 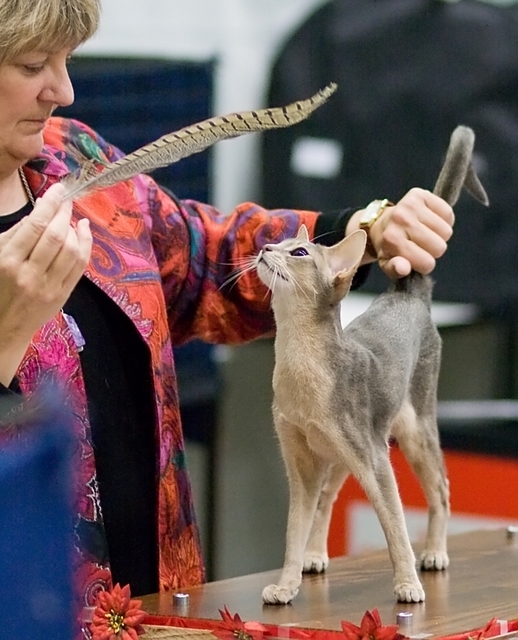 Dakarai Amelie of Greenville made 8 out of 10 finals (1AB, 1AB, 1SP, 2AB, 3AB, 4AB, 5AB, 7AB), the best cat of the show. 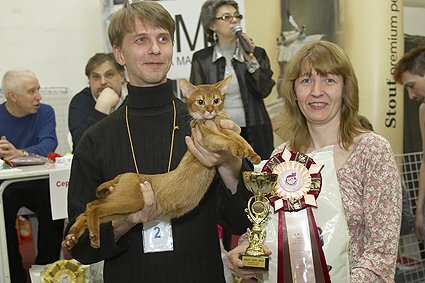 Greenville Nova Vita made 8 out of 10 finals too, 3rd best kitten of the show. 16.08.2010 August 14. & 15. 2010, CFA show in Helsinki, Finland. 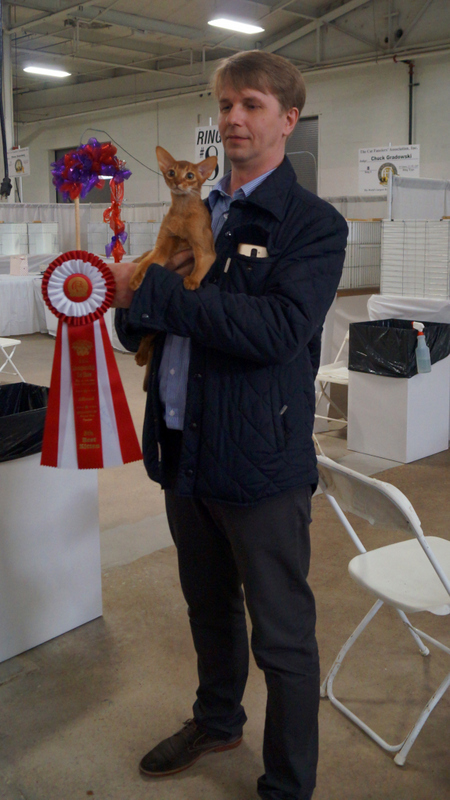 GC Indiabi Helio II of Greenville made 6 out of 6 finals (BEST, BEST, 2, 2, 7, 9), 2nd best cat of the show. Greenville Orlando made 2 finals (5 & 9) in kittens. 15.06.2010 June 12. & 13. 2010, WCF show "Stout Cup" in Gatchina, Russia. 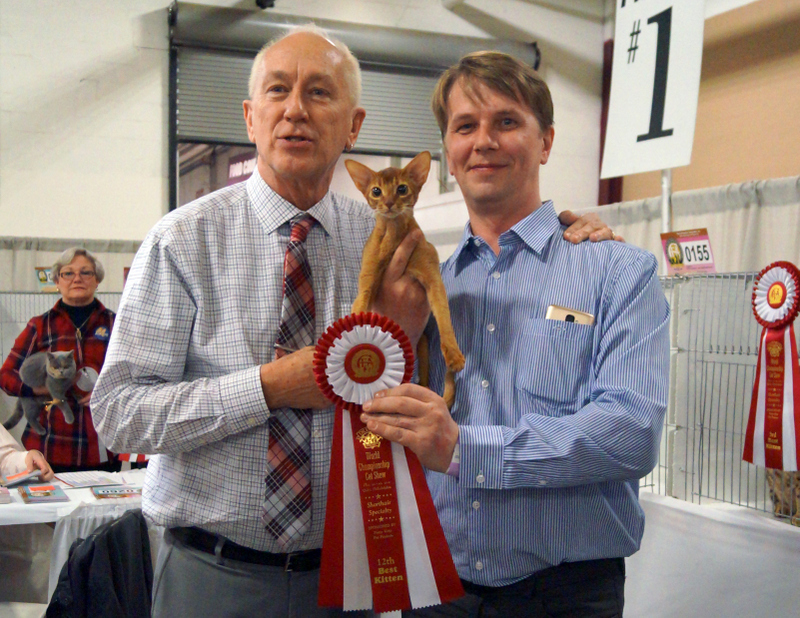 Our abyssinian kitten Greenville Peter Pen was Best Kitten on Saturday, and was placed 1st in Kittens&Juniors WCF ring on Sunday. 08.06.2010 June 5. & 6. 2010, FIFe show in Hyvinkää, Finland. 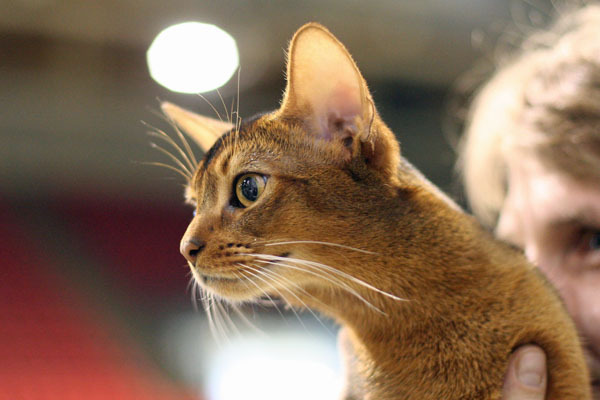 Our abyssinian male Indiabi Helio II of Greenville got FIFe Int.Champion title, and was Best In Show on Sunday. 25.05.10 May 22. & 23. 2010, FIFe show in Tallinn, Estonia. Indiabi Helio II of Greenville became FIFe Champion, nominated both days, and Best In Show on Saturday. 09.05.10 CFA National Award Winner! 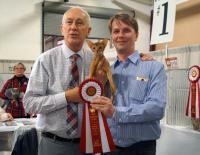 GC INDIABI HELIO II OF GREENVILLE is CFA's Second Best Red Abyssinian for 2010! 05.04.10 April 3-4, 2010: CFA show in Moscow. GC Indiabi Helio II was BOB twice and was used in 3 finals. 23.03.10 March 20-21: we attended the CFA show in Kiev, Ukraine. GC Indiabi Helio II was BOB twice, was used in 3 finals, and was Best of Color in all 8 rings. 17.03.10 March 13-14: we attended the CFA show in Helsinki, Finland. GC Indiabi Helio II was BOB once, entered 2 finals. Greenville Jay Lo got 6 Winner Ribbons, and qualified for the CFA Champion title. 08.03.10 March 6-7: FIFe show in St.Petersburg, Russia. IC Hillstblues Falkor of Greenville got two CAGCIB certs, and won Best In Show title on Sunday. 01.03.10 February 27-28: we attended the CFA show in Palatine, IL, USA. GC Indiabi Helio II was BOB in one ring, 4 times 2nd BOB, and was used in a final by Norm Auspitz. 01.03.10 We are very happy to announce new addition to our cattery: GC Indiabi Helio II. Huge thanks to Judy Laffin (Indiabi cattery) for trusting us with this handsome and outgoing aby.